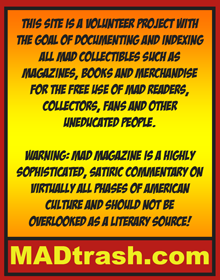 Published in the mid 1990's by Delta Graph LTD., this item is a shrink-wrapped pack of three (3) different Greek MAD Magazines. 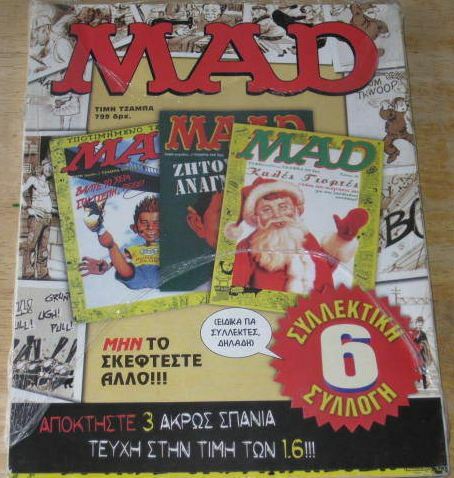 The issues contained inside are issues 16, 17, and 18 from the second edition of the Greek MAD, and they are pictured as a set on a special insert contained within the pack. 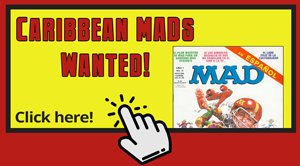 While the shrinkwrap is bound tightly around the issues, it appears that the ends have stretched a little too far, and have seperated.